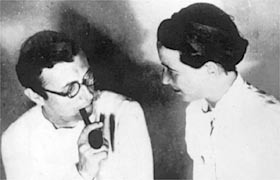 Jean-Paul Sartre and his lifelong companion Simone de Beauvoir were both buried in Montparnasse cemetery in Paris, just south of their old stomping ground in St-Germain-des-Prés. When Sartre was buried there in 1980, an incredible 50,000 mourners came out to bid farewell to their favourite intellectual. Soon afterwards, Beauvoir, despite her many illustrious achievements as a writer, philosopher and pioneering feminist thinker, would rate her greatest accomplishment as her relationship with her beloved Jean-Paul. 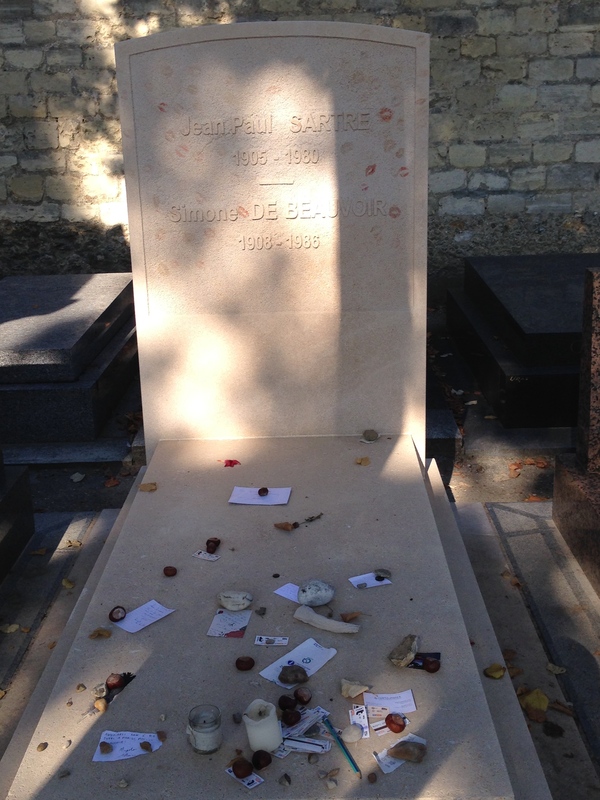 Beauvoir died in 1987, and was laid to rest beside her late partner. Recently, along with my fourteen-year-old daughter Alex, I visited Paris to retrace the footsteps of this extraordinary couple. On an uncharacteristically warm and beautifully clear sunny day in October, we hired some bicycles and pedalled our way along the wide boulevards of Paris’s Latin Quarter in search of the cemetery where the objects of our pilgrimage were buried. 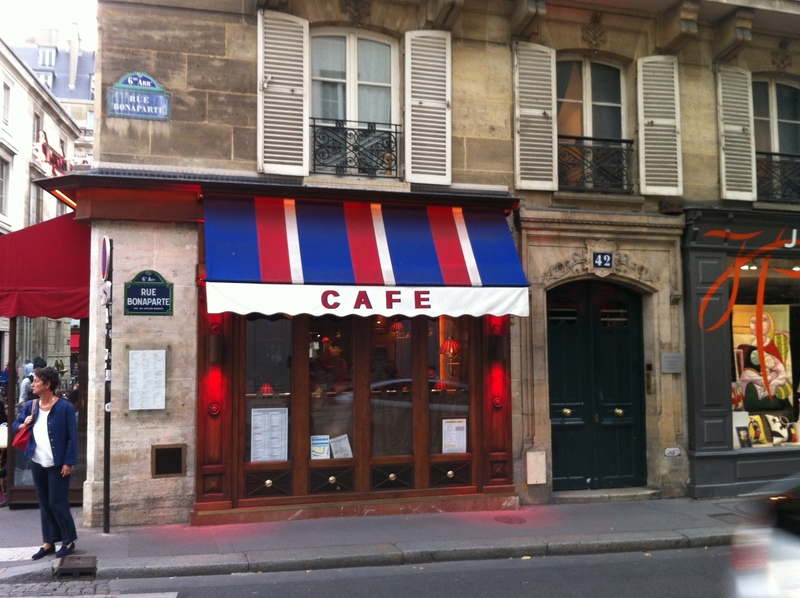 Using our map of Paris to guide us, we eventually came across its entrance, nestled in Montparnasse on a quiet tree-lined residential street. We secured our bikes, and proceeded into the grounds to be greeted by a little, slightly crumpled Frenchman sitting at the gate. 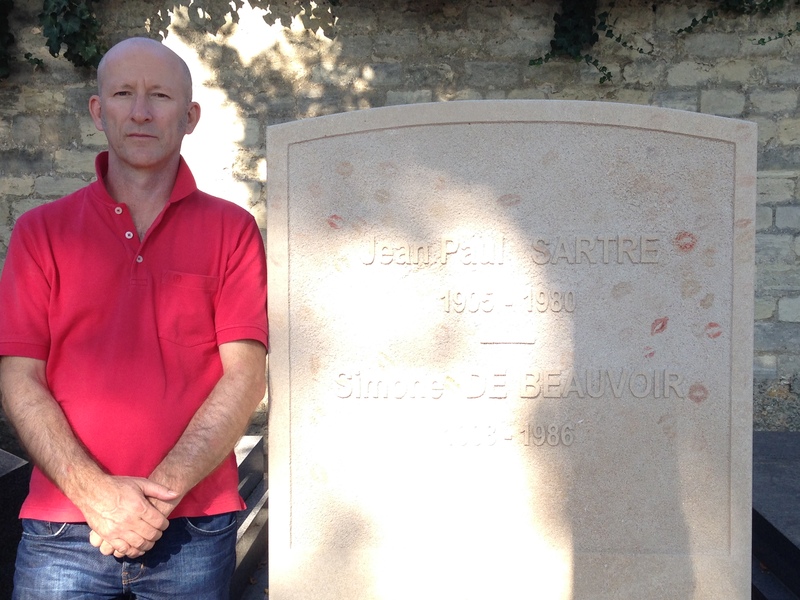 ‘Je voudrais voir Sartre et Beauvoir’, I explained in my hesitant French. He produced a well-worn laminated map and pointed out the location of Sartre and Beauvoir’s plots on it, over on the other side of the cemetery. 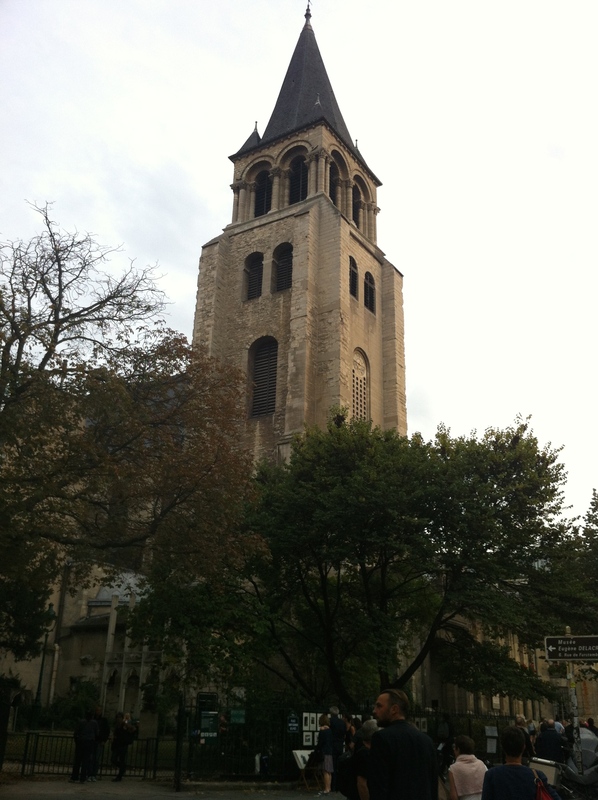 I took up his kind offer, and as we set off into the cemetery grounds, I noticed as I read the guide he had given us that there were many other esteemed people buried here, including the French writer Marguerite Duras and the American critic Susan Sontag. There were a few other visitors strolling through the grounds, some like us looking for famous people, others paying their respects to deceased relatives and ancestors. ‘This is actually a really nice cemetery’, my daughter observed with an air of pleasant surprise (she had earlier been quite sceptical of my suggestion that visiting such a place would be a good way to spend the morning). I had to agree with her observation. Sunlight that filtered its way through branches and leaves of old plane trees that graced the cemetery grounds warmed our skin as we wormed our way through scattered headstones, some old and neglected, others well-tended with fresh flowers. Birds twittered serenely in the foliage above us as we traversed through this expectant landscape of cement tombs and inscribed stone. After some time following the directions we had been given, my daughter called out that she had found it. Sure enough, there before us lay a faded sandstone grave bearing the names and years on this earth of our two philosophers. Beauvoir’s headstone was covered with lipstick kisses, lovingly placed there by a previous visitor. Both graves were littered with notes and objects from others from all around the world who had come here before us to pay their respects. I felt compelled, too, to write a note of thanks for the inspiration their works and lives had given me. I folded the handwritten message and left it there amongst the others. My daughter took a few photographs of me standing beside my muses. In the twenty minutes or so that we lingered at the grave, a few other people came along to pay their respects in the warm silent Paris sunshine. A family speaking a language I didn’t understand arrived, chattered loudly, and pointed at the graves for a while before dispersing, guide book in hand. A young female student came and stood there quietly for a long period in deep reflection. An older lady and then a younger man, both on their own, turned up and stood there in silence. None of them wanted to talk. Each of these solitary pilgrims seemed to want to spend time alone with the thinkers, just as they had when they had read their books. After they all left I too spent some time alone with the writers who had filled my imagination years ago with stories of a bohemian and bustling Paris before, during and after the war. My daughter and I left the graveside and proceeded to make our way back to the cemetery entrance, whereupon we came across a funeral service, where forty or fifty well-dressed mourners smoked cigarettes, talked and embraced quietly around the grave of their beloved. I found myself imagining the day when Sartre was buried here, when tens of thousands of mourners filled the whole cemetery to capacity. On that day Paris’s citizens had scrambled across headstones and climbed trees in chaotic scenes, trying to get a glimpse of their beloved hero before his casket was lowered into its grave. According to newspaper reports of the service, there was mayhem in the now-quiet cemetery that day as many in the crowd surged to see their philosophical idol before he was laid to rest. And in front of them all, given some space as a sign of respect, had been Simone de Beauvoir dressed in black, kneeling at the graveside and convulsed in grief. I found myself wondering, as I returned the map to the man at the cemetery gates and cycled off with my daughter into the gloriously sunny day, whether a time would ever come again when thousands would turn up to say good-bye to a man or woman of ideas, or whether those days had passed into history forever. How is the mind different to the brain? I will always remember the first time I held a human brain in my hand. I was a medical student and it was our first neuroanatomy prac. There we stood, hapless medical students in our white coats. Each group of six students stood around a bench, on the centre of which sat a Tupperware container with a brain floating in it in some nondescript fluid. The fact each cerebrum was floating in such a banal-looking Tupperware container, the sort my Mum used in the kitchen, made the spectacle even more surreal and disturbing. The professor taking the class took some time to explain to us where all the twelve cranial nerves were, before encouraging us to spend the rest of the tutorial trying to locate them on the specimens before us. At this point everyone went silent for several painfully slow seconds until I put my hand up to ask the question that might have been in others’ minds (not brains) too: ‘How do we get the brain out of the container?’ He looked at me as if I was some sort of imbecile: ‘You take it out with your hands’. The look that followed left us in no doubt how incredulous he was that I could ask such a dumb question. And so I squeamishly – with a straight arm as if to protect my body from contamination – picked up the two pounds of nondescript firm grey stuff that was a human brain and put it on the bench. After tentatively and dutifully looking for all twelve cranial nerves (they all looked so insignificant) my colleagues and I looked for other bits – the cauliflower cerebellum, the cortex, the pons, the medulla. It didn’t take long before we became totally desensitized, just like in my high school biology class two years earlier when we had to dissect a rat, and we rapidly descended from apprehensive dissection to using the rat’s head in macabre pranks on each other when the teacher wasn’t looking. Now, as medical students with only slightly more maturity, we again found ourselves behaving like the lads in Lord of the Flies, as we pinched, pulled, cut and crumpled the piece of insignificant dead formaldehyde-stained flesh before us until there was nothing left but a grey indecipherable mush. Bored and spent, we then listlessly waited for the clock in the classroom to indicate that time was up. After the prac was over, I felt disturbed. I had cut apart a brain and found nothing of what I felt it was to be human. I felt empty, cheated. Like so many have before and since, I said to myself: there has got to me more to us than this. And so began my quest to understand – to grasp – the human soul, the spirit, the mind. That which makes us human, unique, and inconceivably complex and precious. As I went on to complete my medical studies, and afterwards my psychiatry training, I got to know more about the brain, which I found (and still find) fascinating. But it didn’t teach me about the mind. Because for me, the mind is different to the brain. They are not one and the same, although I acknowledge there is a big overlap between the two. Our current society’s way of seeing the mind is influenced greatly by the dominant scientific opinion of it as an illusory phenomenon arising out of brain neurons firing, While not totally disagreeing with this, I would venture that minds, as opposed to brains, are worth exploring in their own right. We can look at phenomena at different levels: from cell right through to society. We don’t gain anything, and lose a lot, by trying to reduce everything to atoms (or neurons for that matter). Anyhow, back to my quest to better understand the human mind (as opposed to the brain which I learnt more about in biology classes), I have found myself reading in many diverse fields of human enquiry, including psychology, philosophy, religion, literature, linguistics and the arts. I have looked to the law, to politics, to the cinema, to cultural studies. To history, to feminist studies, to Marx, and to Freud. I haven’t arrived at many answers but I’ve thoroughly enjoyed the journey. And throughout all this I have been concerned with mind , not brain. Our everyday language regularly reflects the difference between the two, much to the chagrin of some scientists of a reductionistic bent who can be quite dogmatic and evangelical in their certainty that the brain exists but the mind does not. Brain equates to the matter inside our skulls. It has a certain colour, weight and texture. It is composed of neurons – of cells. The mind on the other hand, refers to consciousness, self-awareness (animals have brains but it is not clear they all have minds). The mind contains not neurons, but thoughts, feelings, hopes, wishes, fears, fantasies and dreams. The mind is not locatable and describable in space like the brain is. One argument often used against the existence of a mind separate to the brain, is that when the brain dies the mind dies too. However this is not strictly true. Through the magic of the written word we can still access the minds of those whose brains have died, whether it be Einstein’s theory of relativity, the ideas of Freud, or the imagination of Tolstoy or Mark Twain. Through literature, we still have a window into their minds (but not their brain). When I talk about ‘mindfulness’ techniques with my patients I am asking them to observe their mind’s constant narrative, not their brain’s neuronal firing. When I ask a patient in therapy to imagine how they would like their life to be in twenty years, or what they would like said about their life at their funeral, I am inviting them to harness their free will to imagine something in their mind’s eye. They are using their brain to do it, but a purely mechanistic, deterministic brain-based scientific explanation seems to fall short of explaining how he or she can use their free will to imagine themselves transported across time and place. Just how does a brain produce Tolstoy’s War and Peace? And why would it want to? For that matter, can a brain want? Or is it only a mind that wants? Which brings me to culture. The mind is inextricably linked up with culture and society. The now somewhat unfashionable philosopher G.W.F. 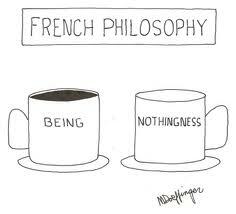 Hegel appreciated this when he wrote his highly influential and acclaimed work Phenomenologie des Geistes in the early 1800s. In trying to capture the German notion of the Geist this work has been variously translated as The Phenomenology of Mind or The Phenomenology of Spirit – but never as The Phenomenology of Brain for good reason. Hegel contended in this work that Geist, or what we might today refer to as consciousness, is the primary reality and that matter came later as a secondary phenomenon. Hegel argued that the history of the world is a history of consciousness – or the mind – gradually evolving to the point where it has become aware of itself through the arrival of self-conscious human beings, a development that Hegel saw as inevitable. Hegel saw the evolution of increasingly sophisticated political systems in Western civilisation throughout history as further evidence of consciousness evolving. As has been mentioned, his perspective would not be a fashionable one nowadays, but it does provide an alternative narrative to science, that perhaps better accounts for the phenomenon we refer to as our evolving society and culture – a collective mind that we all experience. 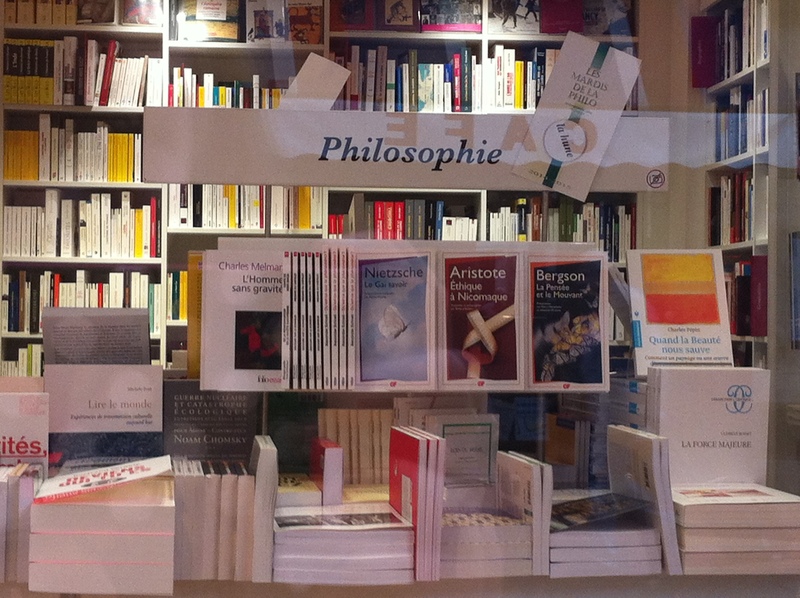 One of the most dramatic developments in philosophy in the second half of the twentieth century, particularly in Europe in the so-called continental tradition, has been what has been referred to as the ‘linguistic turn’, whereby thinkers have realized the importance and centrality of language in constructing our realities. Philosophers such as Foucault, Derrida, and to a lesser extent Wittgenstein, have suggested that words (arguably products of the mind) are in many ways a more primary reality than matter. I would argue that this very essay is a product of the mind rather than the brain, drawing as it does on the thoughts – the minds – of other thinkers whose brains are long gone but their minds are still with us. Furthermore this essay is produced by my mind for the hopeful benefit and interest of other minds, who will still be able to grasp my thoughts even if a sudden misfortune were to befall me, the writer, and result in my (and my brain’s) demise immediately after writing and sending this. Which is, of course, a metaphor, another product of the mind rather than the brain. Or so I would argue. But I am mindful (not brainful) that other minds (or brains) may beg to differ. It’s hard to believe it has been six months since I last posted. In my last post ‘Pitching to the Market’ I mentioned a few tips for helping you to get your book published. Today I wanted to report on how I got a little closer to that goal myself by, of all things, following my own advice (not something I often do!). In ‘Pitching to the Market’ I mentioned an excellent workshop I attended given by Meg Vann, CEO of the Queensland Writers Centre. Meg talked about how important it is to develop an author’s platform, including building an online presence. Reluctantly I followed her advice and opened a Twitter account (to me it all seemed like superficial time-wasting. I just wanted to get on and write.). Anyhow I started following on Twitter people who interested me – other writers, authors, publishers, anyone tweeting about my passions of writing (and reading). Then one day, a tweet popped up from one of my new twitter-aquaintances – a literary agent in Victoria, Australia, called Virginia Lloyd. In this tweet she mentioned the Hazel Rowley Literary Fellowship. As it turned out, the late Ms Rowley’s work had been a key resource for my writing project. My book is about the love lives of philosophers, and she had written an amazingly well-researched and gripping book called Tête-à-Tête about the love lives of Simone de Beauvoir and Jean-Paul Sartre. The Hazel Rowley Literary Fellowship had been set up to further the legacy of this great author by providing up to AUD$10,000 for emerging or established writers writing biography. I thought I might as well have a go. So I submitted my manuscript to this Fellowship, and just found out two days ago Lovers of Philosophy had been shortlisted, as recently announced on the Writers Victoria website. I hope my story inspires you to reach out and share or submit your work to one or more of the large number of fellowships and competitions out there. I’ve submitted my work to other comps and fellowships and had mixed success. The key is getting your work as good as you can get it (including by running it by beta-readers for feedback-more on that in a future post), and persevering. Joining your local writers’ organisation is a great way to hear about the many opportunities that are available. I’d love to hear your experiences of whether tweeting, blogging and what I still consider as other necessary evils that distract me from my writing (if I’m honest I’d always rather be writing!) has helped you to further your writing aspirations in any way.